A member of the Peoples Democratic Party (PDP) has blamed the party’s loss in the Presidential election on poor management of the Presidential Campaign Committee. 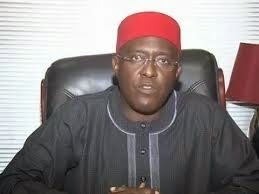 The National Publicity Secretary of the PDP, Mr Olisa Metuh, made the observation while addressing reporters in Abuja on Monday. Mr Metuh said the committee, which was headed by Professor Jerry Gana, was “poorly managed,” leading to the failure of the party. He also absolved the party’s National Working Committee of embezzling funds set aside for the presidential campaign in the just concluded general elections. According to Metuh, the PDP spent over four billion Naira out of the over seven billion Naira it generated from the sales of forms to prosecute the presidential, governorship and lawmakers’ campaigns before the elections. He said those accusing the party’s National Working Committee of financial misappropriation were only trying to cause disaffection between the leadership of the party and President Goodluck Jonathan. President Jonathan lost the presidential election to the candidate of the All Progressives Congress, General Muhammadu Buhari with over two million votes.